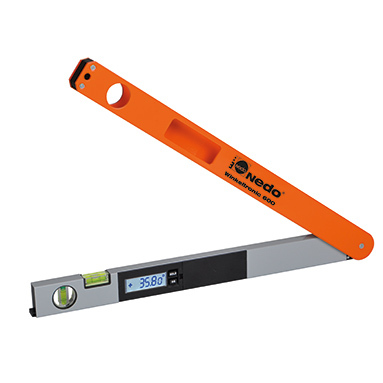 Nedo Messfix Compact - 3m Measuring Rod - ONLY £109.99 (+VAT) - SAVE £5! NEW MODEL! Now with 0.05° resolution and illuminated display! Nedo Winkeltronic - the premium class digital angle finder for exact measuring and transferring of angles. Accuracy of ± 0.1°. Extremely robust and reliable. FREE Canvas Carry Case - Worth £15.49!